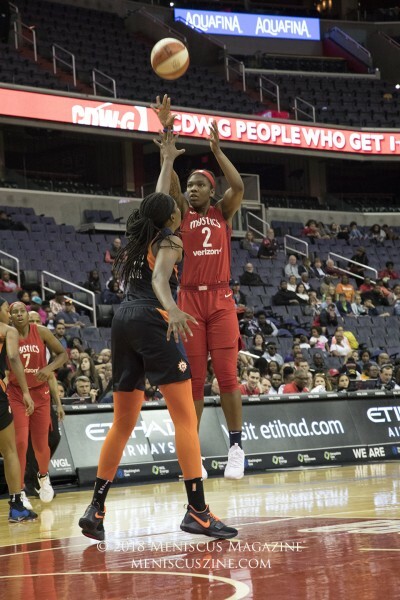 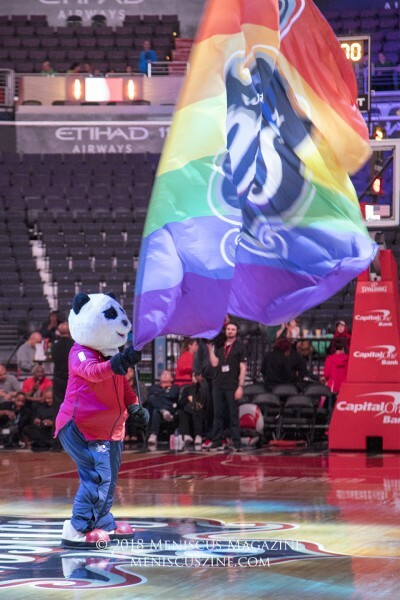 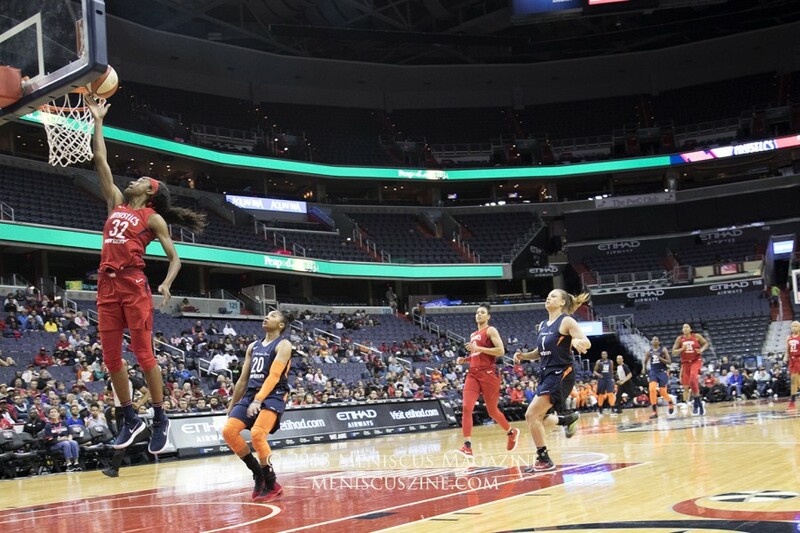 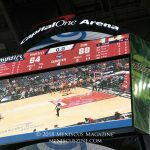 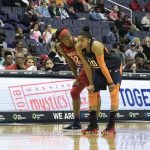 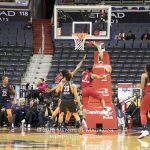 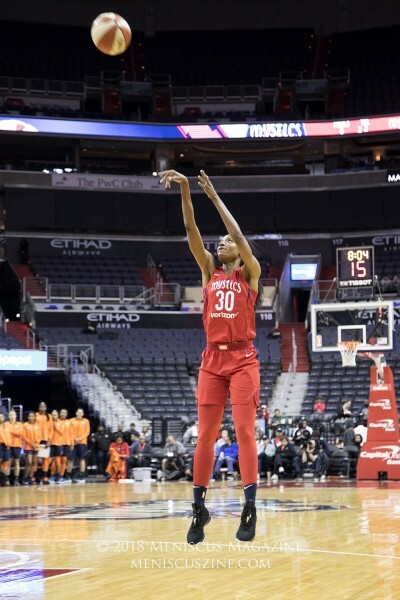 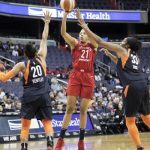 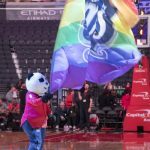 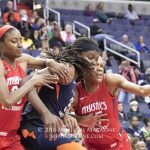 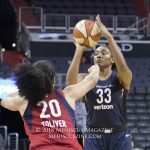 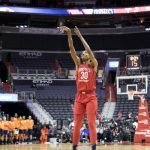 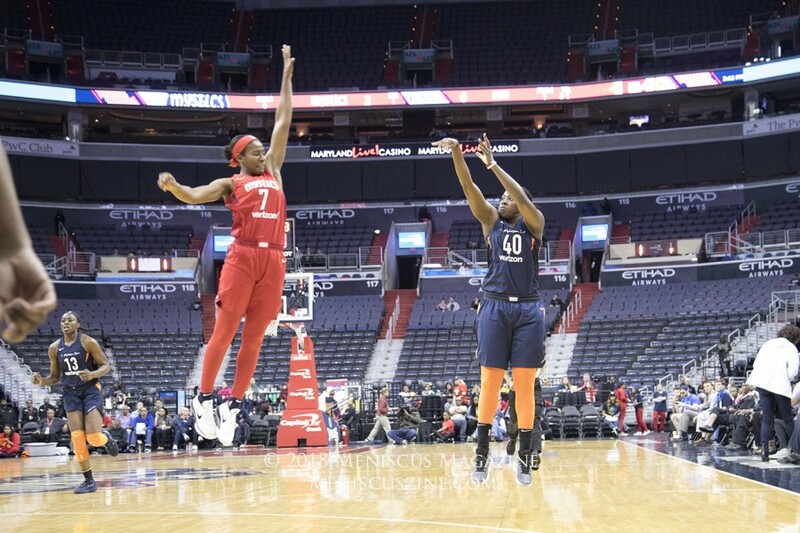 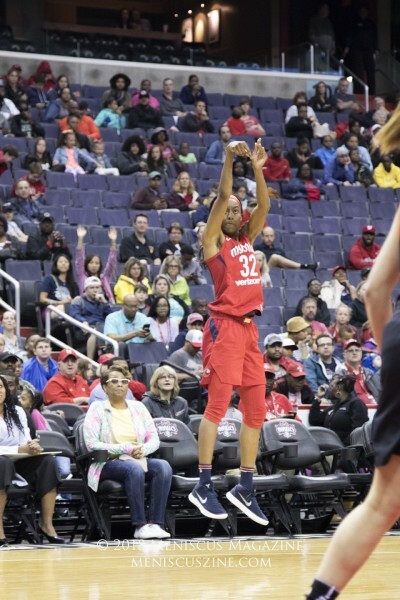 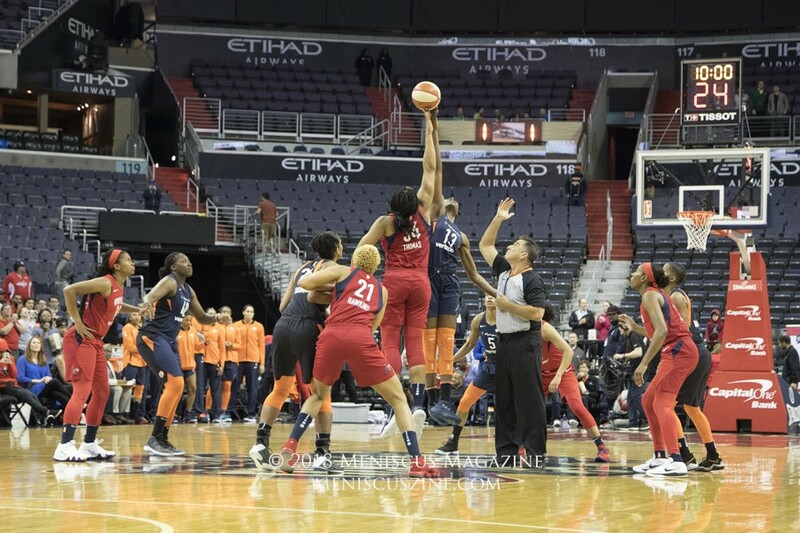 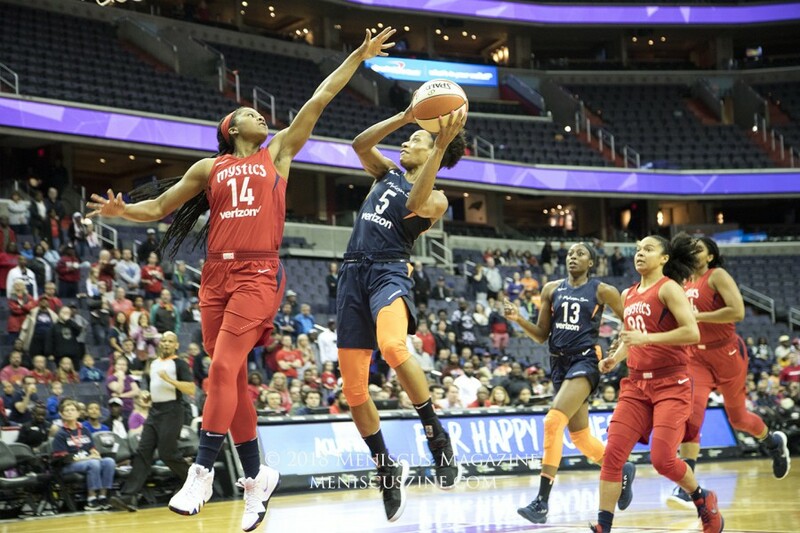 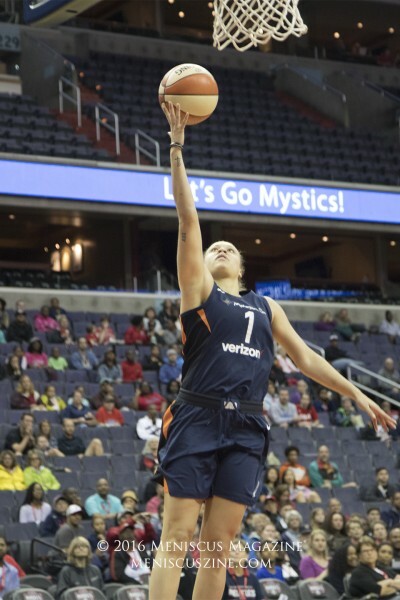 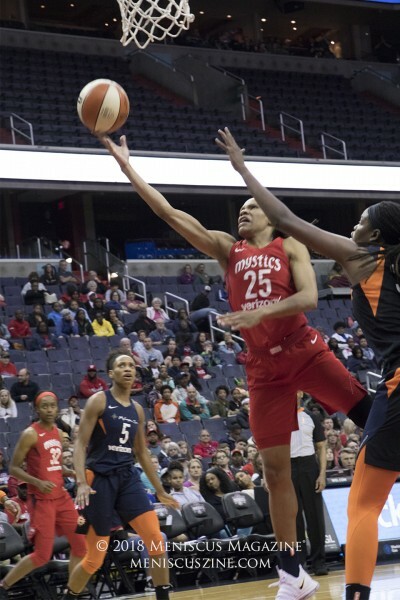 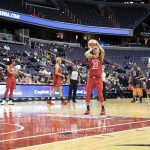 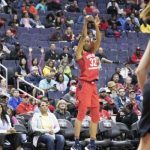 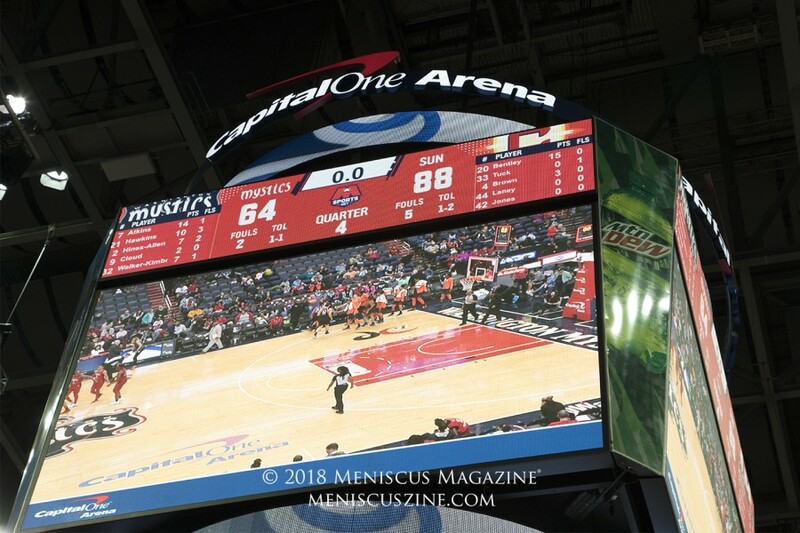 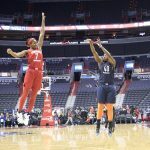 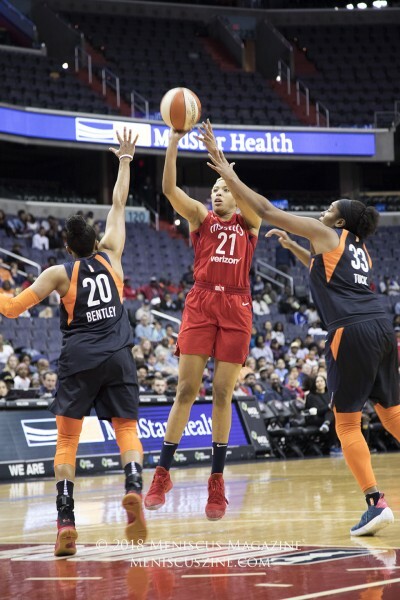 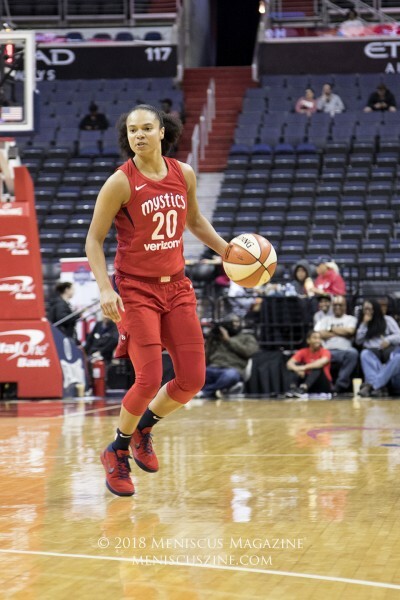 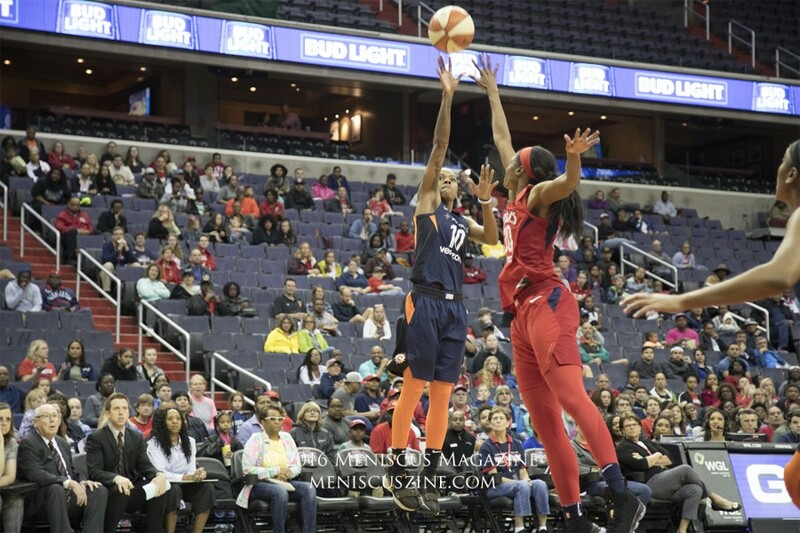 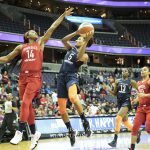 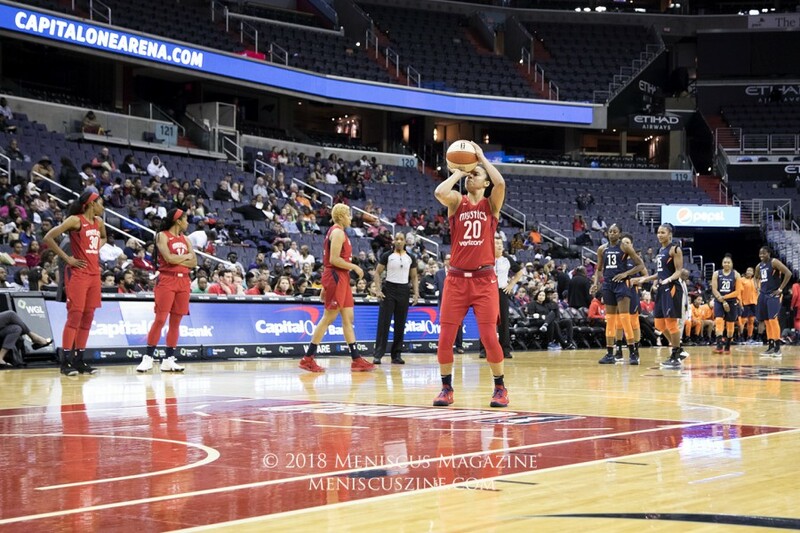 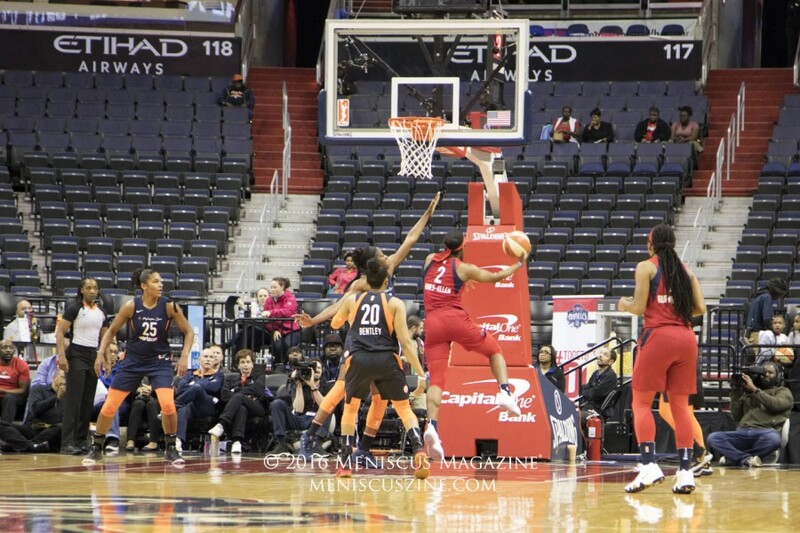 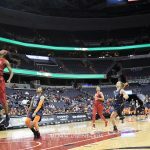 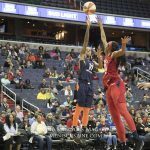 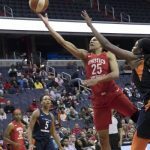 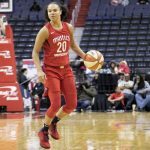 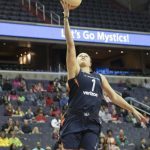 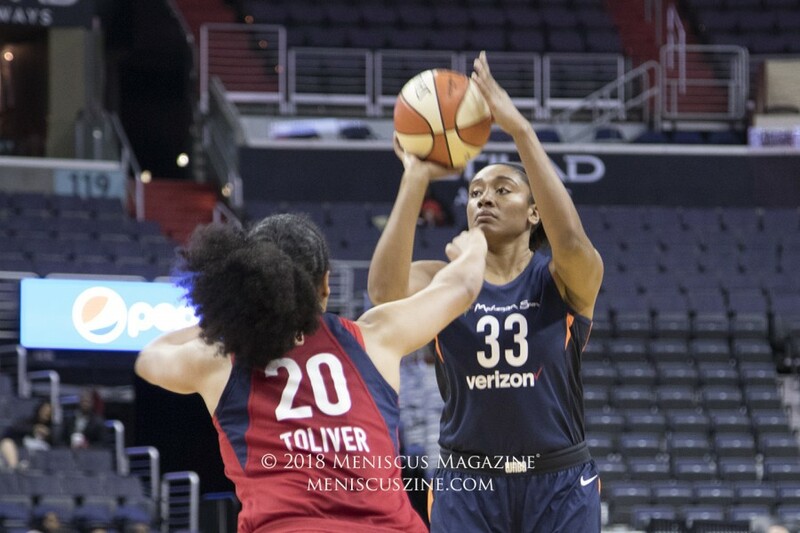 June 3, 2018, Capital One Arena, Washington, D.C. – Playing once again without their star forward, Elena Delle Donne, the Washington Mystics have lost three of their last four games. 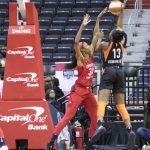 After scoring the first basket, the Connecticut Sun never looked back and led the entire game from start to finish, by as many as 27 points. 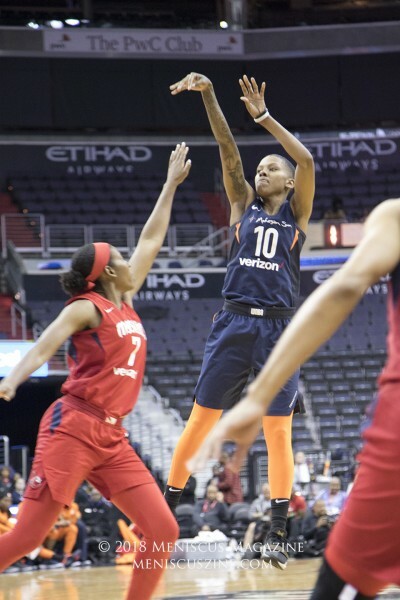 Sun guard Jasmine Thomas had 25 points, with four three-pointers. 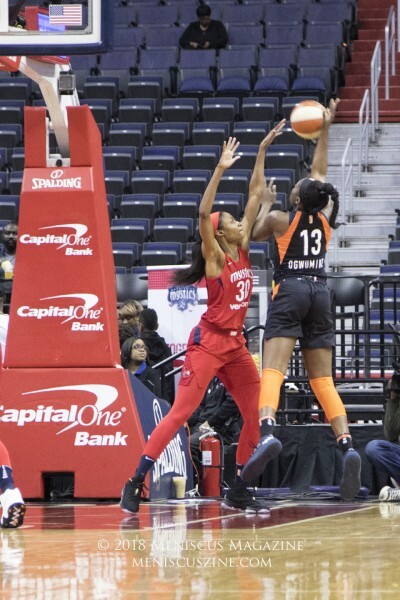 Chiney Ogwumike scored 11 points and had nine rebounds. 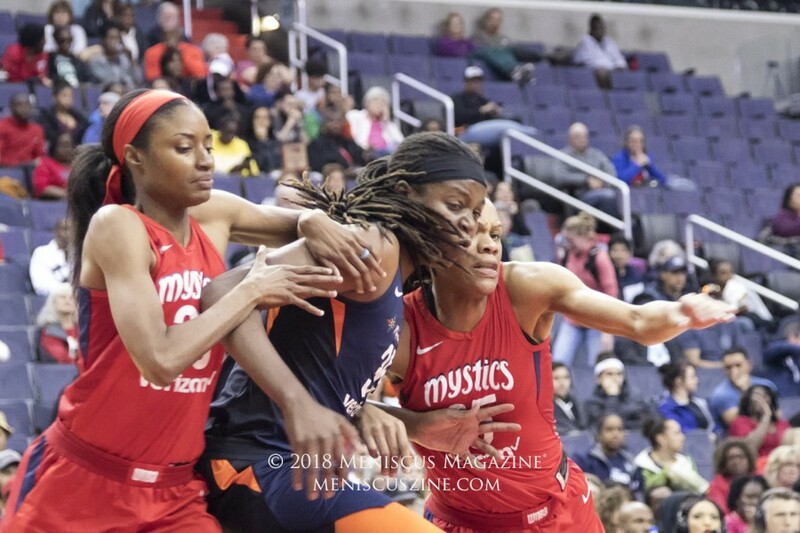 For the team, the Sun out-rebounded the Mystics by 14 (45-31) and out-shot the by 10 percent while making seven more three-pointers (10-3). 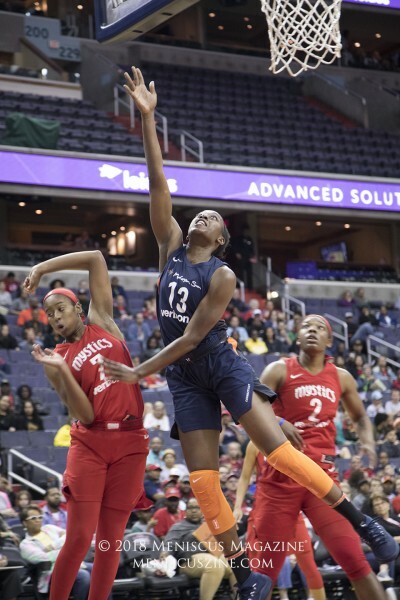 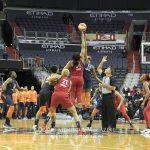 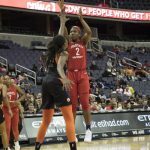 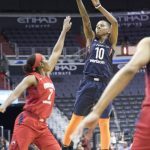 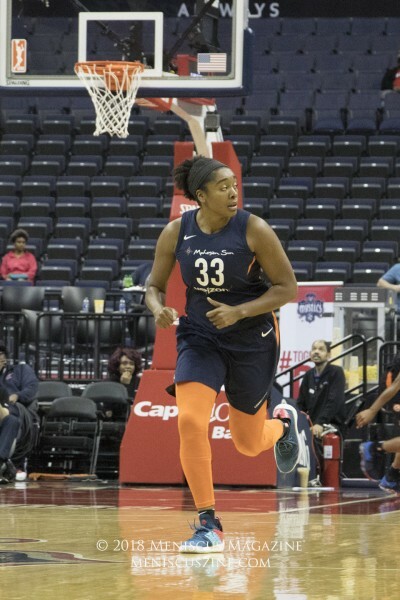 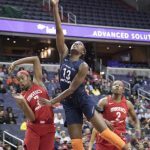 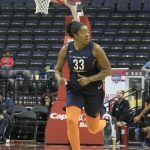 Mystics rookie forward Ariel Atkins made 14 points while Tianna Hawkins and Monique Currie had 10 points each. 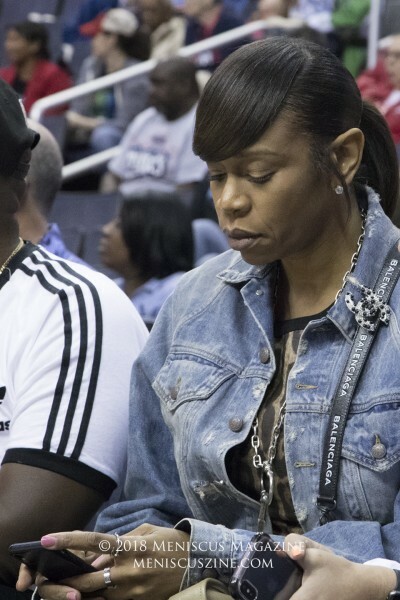 WNBA great Tina Thompson was present for the game. 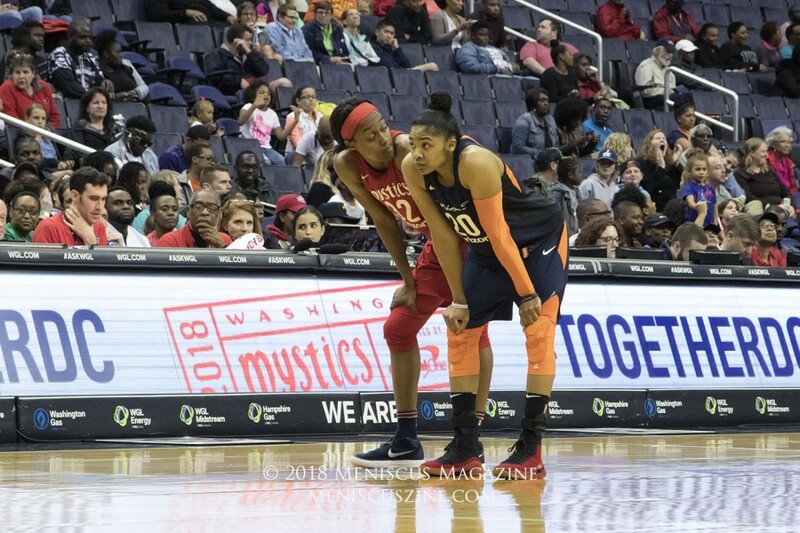 Together with Katie Smith, they are the new Class of 2018 members of the Basketball Hall of Fame. 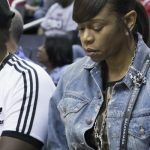 The enshrinement ceremony will be held on Sep. 7 at the Springfield Symphony Hall in Springfield, Mass.